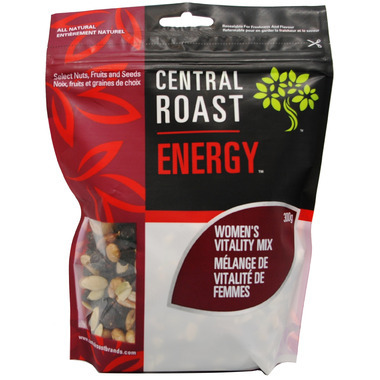 This mix has been specially formulated to provide women with an optimal boost of energy and contains extra healthy ingredients like cranberries, soy nuts and pistachios. INGREDIENTS: DARK CHOCOLATE CHIPS (UNSWEETENED CHOCOLATE, CALCIUM CARBONATE, EVAPORATED CANE JUICE, COCOA BUTTER, SOY LECITHIN [AN EMULSIFIER], VANILLA), CRANBERRIES (CRANBERRIES, EVAPORATED CANE JUICE, SUNFLOWER OIL), PUMPKIN SEEDS, RAISINS, DRY ROASTED ALMONDS, SUNFLOWER SEEDS, DRY ROASTED CASHEWS, ORGANIC ROASTED SOY NUTS (ORG. SOYBEANS, SALT, ORG. 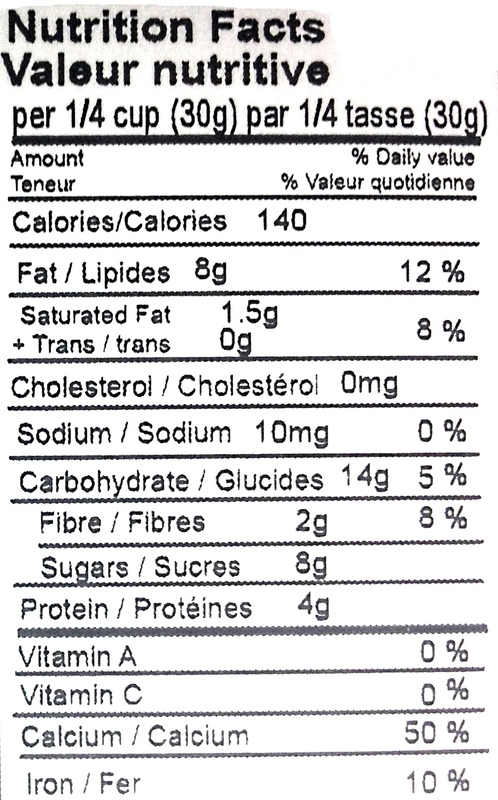 CANOLA AND/OR SOYBEAN OIL), CHERRIES, PISTACHIOS, BLUEBERRIES (BLUEBERRIES, EVAPORATED CANE JUICE, SUNFLOWER OIL). CAUTION: Cherries may contain pits. Love this stuff. Would order again. This stuff is addicting. The combination tastes great and goes perfectly well with yogurt or ice-cream! The chocolate chips add just the right amount of sweetness to the mix. This is absolutely delicious as a snack throughout the day. I just keep it at work and my coworkers love it too.